Eclectic Paperie: ePlay Challenge - Fabric! Welcome to the June ePlay challenge!! This month we are inviting you to play with fabric! If you are anything like me I have TONS of scrap fabric laying around. Everything from silk to denim to brocade. 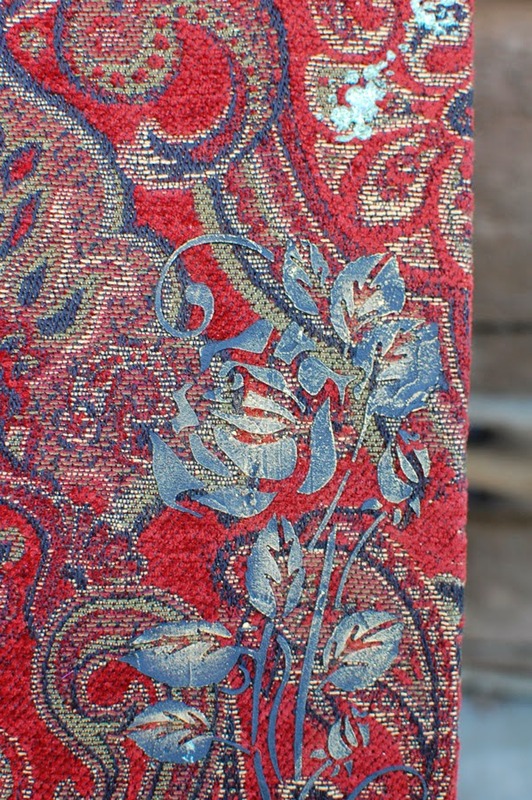 I was actually inspired by denim to create this challenge but when it came time to do the project I found this fabulous brocade scrap the my mother in law had recently given to me for my scrappy purposes and it was perfect. 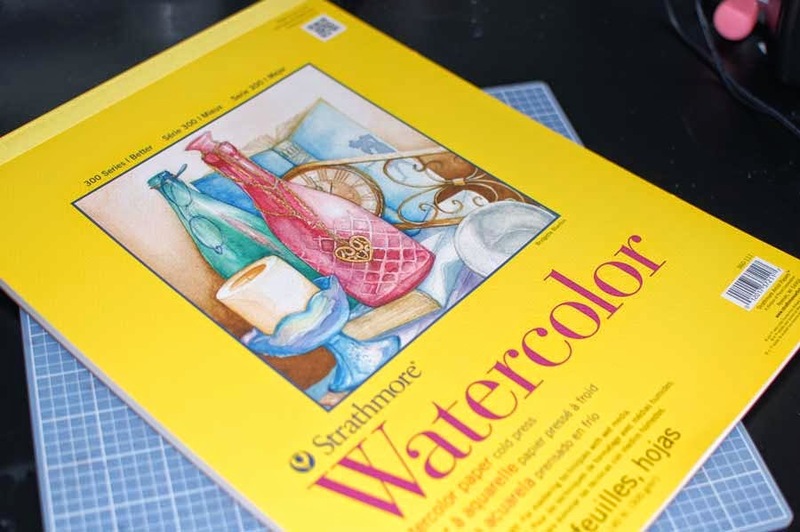 I have been wanting to have an art journal but I want one big enough to really play in. I decided I needed to make my own and this is what came of it. The cover needed a little something so I used some Wendy Vecchi embossing paste in black through a Prima stencil and highlighted with some inka gold. 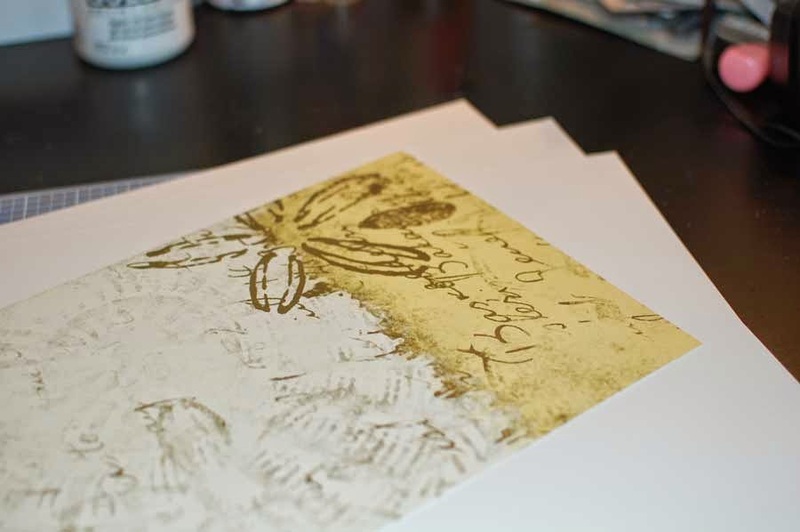 This is the silver metallic Wendy paste with quite a few drops of forrest moss Distress ink and a drop of peeled paint. I should have added more green as the green is very pale...but this was my first attempt at mixing so I learn. 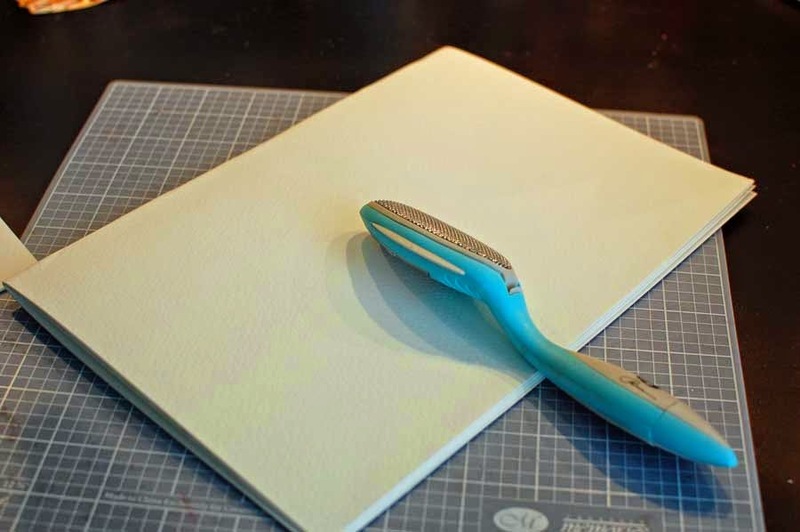 2.Add a few pieces of artistic paper, tags, smaller papers...anything you want for interest. 3. Gather no more than 4 pieces of paper together and fold in half. Crease with a bone folder. These are called your signatures. Your book will be made up of multiple signatures. 4. 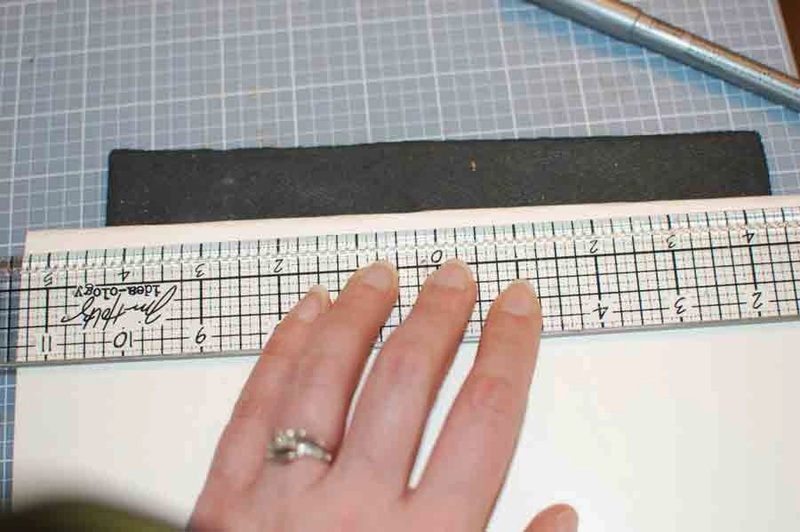 Use a centering ruler to make marks at the center and one at each end...about 1/2 inch in from the edge. These will be for your holes. 5. 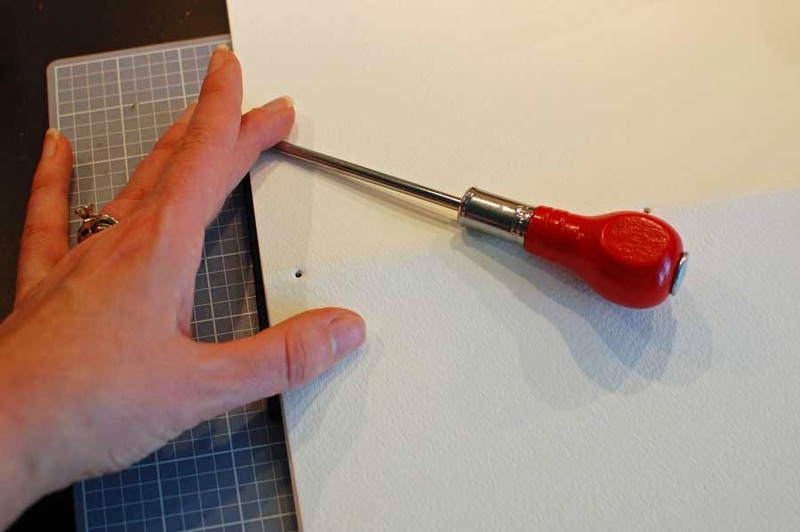 Using an awl and a squishy pad (this is the technical term) punch holes in your signature at the marks. Make sure they are right along your creased fold. 6. 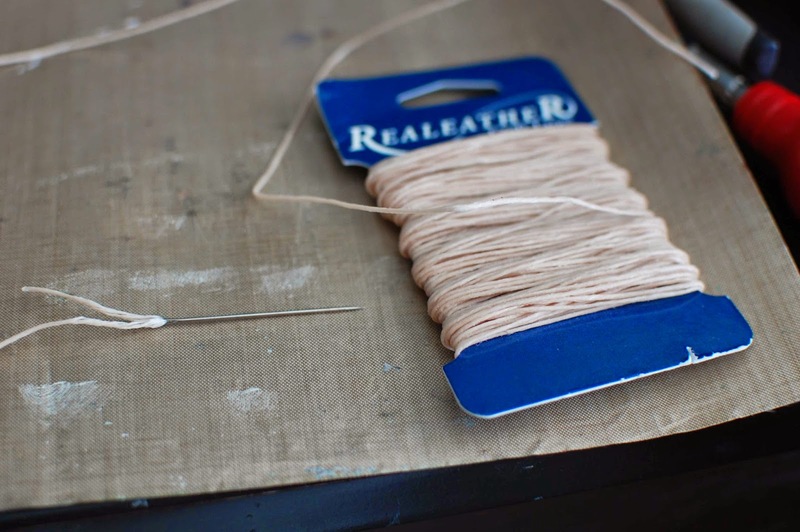 Using a large needle (mine is a leather working needle) and waxed thread to sew, sew your individual signatures at the binding. 7. 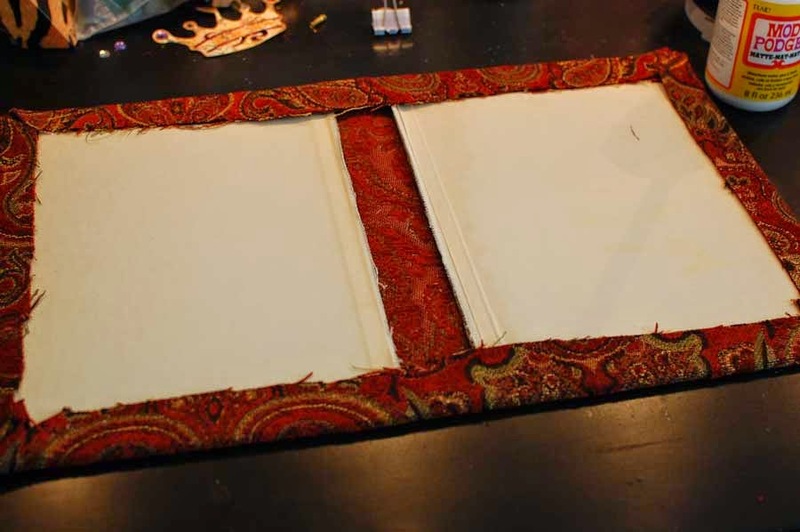 Then sew the signatures together and clip the book together. 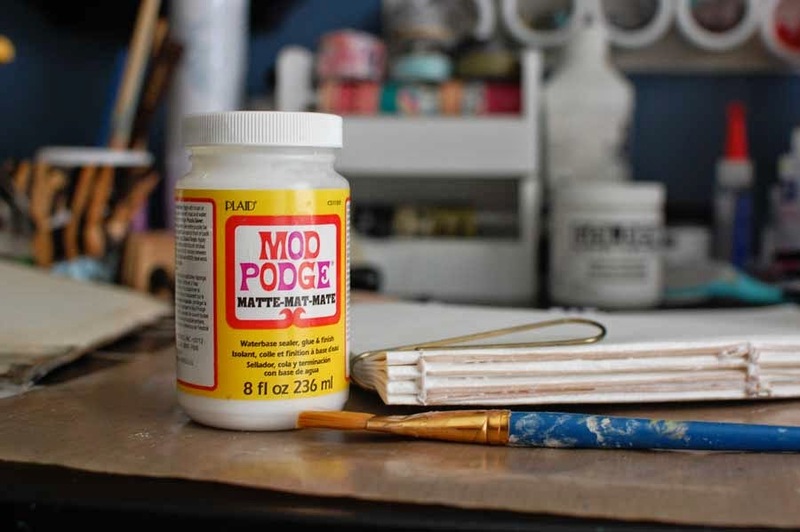 8.Take your glue and paint a thick coat along the binding of the signatures. 9. 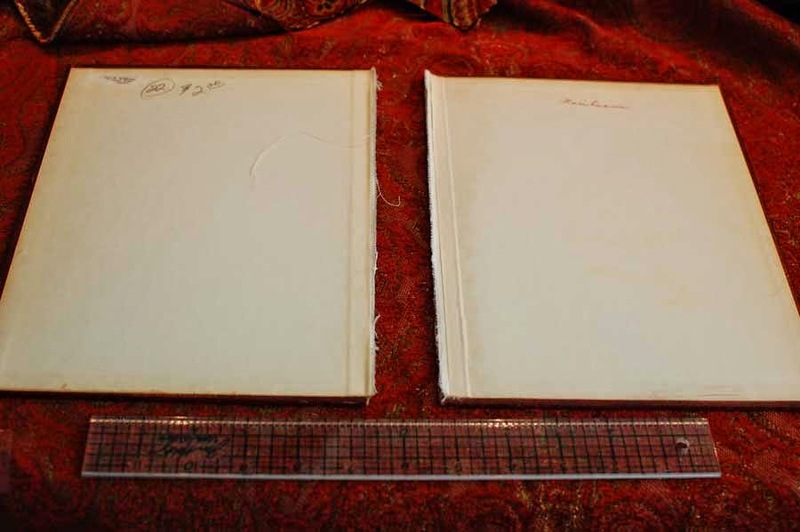 While that dries, take your book covers (I repurposed an old dictionary that I bought at a flea market) and measure out the fabric leave enough room in between for your book innards. This will depend on how many signatures you have. 10. 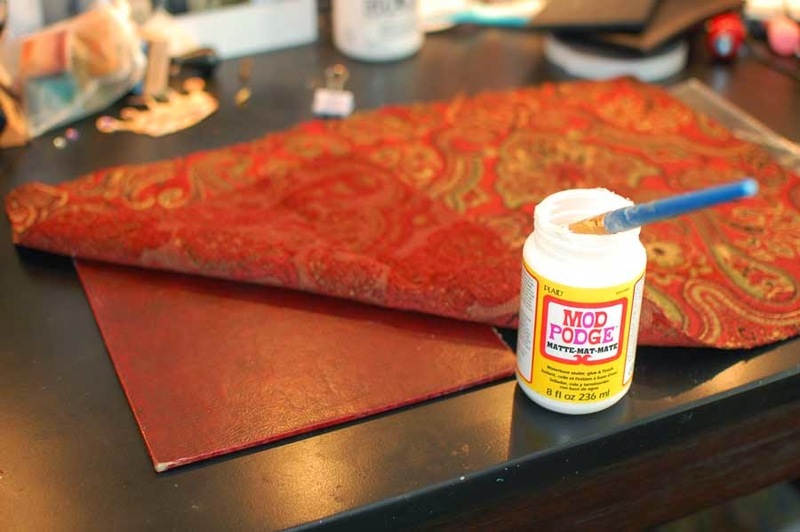 Use your glue and adhere the fabric to the flat surface first being sure to burnish as you go. 11. Adhere the edges around the inside of the covers. 12. Use a piece of your paper to attach the signatures to the cover. If you look close you can see the yellow...I used the cover to the paper pad. Adhere one side to the signature and the other side to the cover. Burnish well and leave something heavy overnight for the entire thing to dry. Do the same for the back cover. and voila! I wanted to keep it somewhat flat so it was easy to open so I didn't add a whole bunch to the front. Also, the fabric I chose is very busy too. So what can you do with fabric? Let's see! 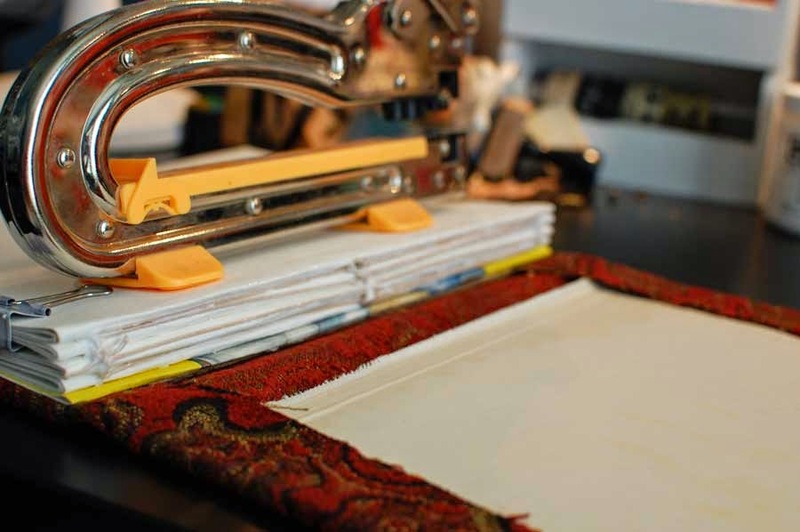 Add your blog to the linky tool at the bottom and show us what you can do with fabric. You may just win a little something to spend in the eP store!! Wow Andie! 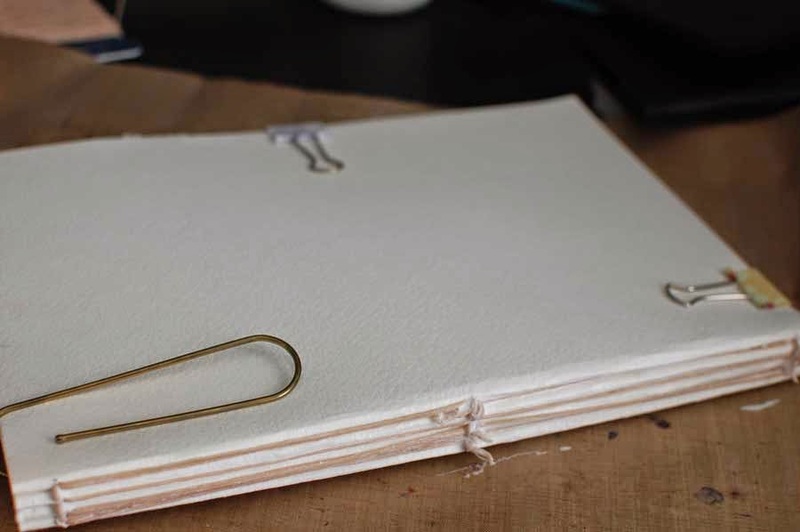 what a lovely journal you made - so cool that you didn't just cover an existing journal - but made your own pages as well! Thanks for all the great details on 'how to'! What a wonderful use of fabric and a great place to create your art! Thanks for the tutorial on makeing the journal! 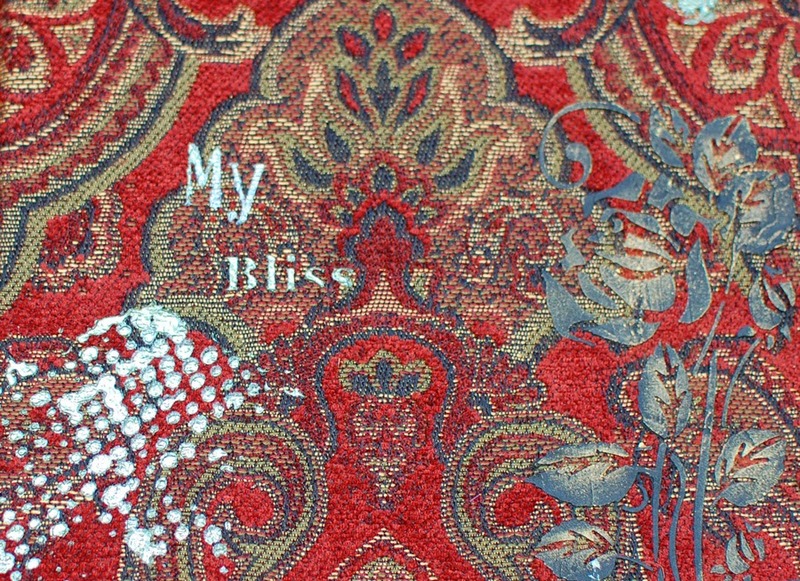 The fabric was perfect for the cover. 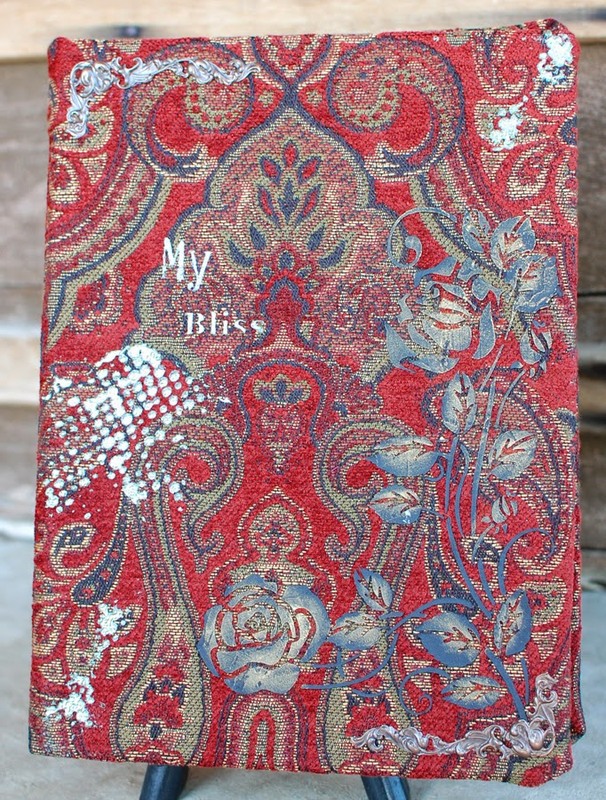 Wow, Andie, when you make a journal.... you TOTALLY Make the journal! This is so fabulous! I've wanted to try stitching my journal signatures for some time now and I think you just gave me that little push I needed. Thank you for the inspiration. I LOVE your project!!! FABULOUS tutorial, Andie and I LOVE the fabric! Great idea for a challenge! 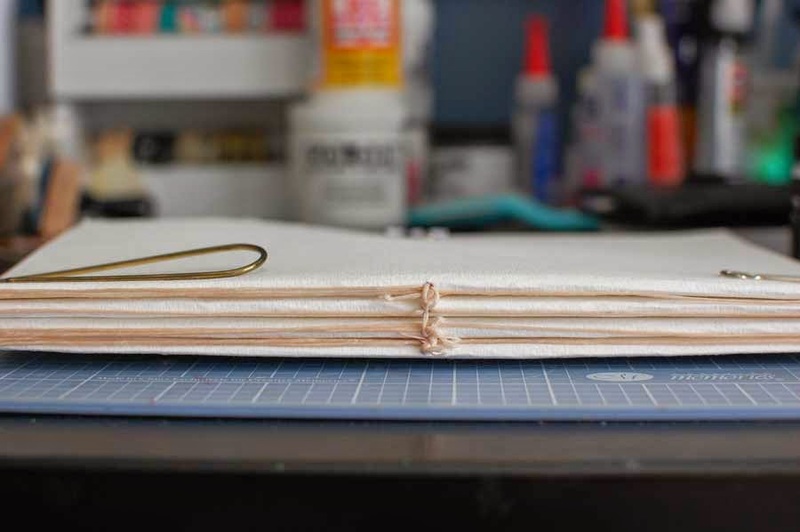 Great tutorial... the idea of making a Journal intrigues me ( I've been intrigued for about three years now... still have not done one from scratch ! Gonna keep your tutorial for reference :) I really love what you did. Awesome Andie!! 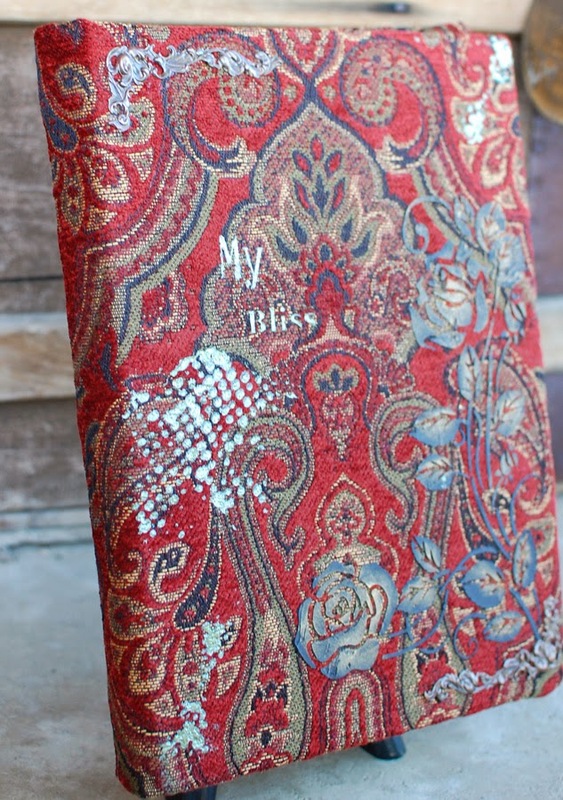 I love making journals, but I don't make them as nicely as you do!! I LOVE the way you make the signatures ... beautiful!